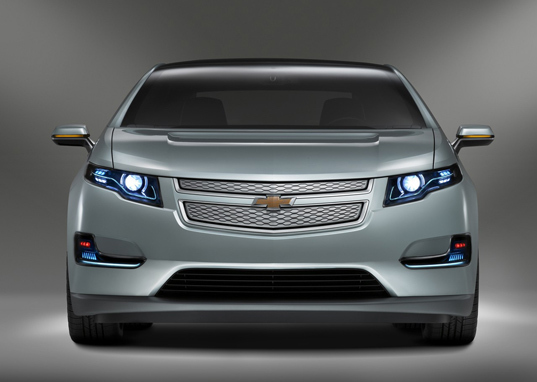 GM may not be releasing the much-awaited Chevrolet Volt as soon as originally planned, but the production process is moving right along. Today the automaker rolled out its first Volt using production tooling, with positive results. Everything went well — no issues with workers, tooling methods, or factory layout. There was one potential issue, however — the Volt started on the production line on Monday. In other words, it took 3 days to build one vehicle. Production speed will undoubtedly increase by the time the Volt is released in November, but the initial slowness shows just how precarious dry runs can be. No word on the potential cost for the Volt, but it’s unlikely that the vehicle will undercut the competing all-electric Nissan Leaf, set to cost just $25,280. "No word on the potential cost for the Volt, but it’s unlikely that the vehicle will undercut the competing all-electric Nissan Leaf, set to cost just $25,280." Friggin' USA Today. McNews for McIdiots. Nissan has not officially announced the price, so the 25K estimate is bullsh*t. And, here's the kicker. What they don't say is that price, if it even comes close to the actual production price, is AFTER a $7500 Fed Tax Credit which will be available to the Volt also. GM has gone on record as saying they'd like to see a 35k price. With the FTC, you're talking 27,500. Here's what's newsworthy. Unless you spring for a 480v quick charger (Cost: approx 2K+, half of which gets another tax credit. The other half is out of the buyers pocket. That 1k+ just jacked up the "price" to $26,400), it will take 8 hours to charge the battery to 80% on 220v line or, my favorite, 16-18 hours on 110v. The Volt, on the other hand will charge in 3 hours on 220v and 8 on 110v. 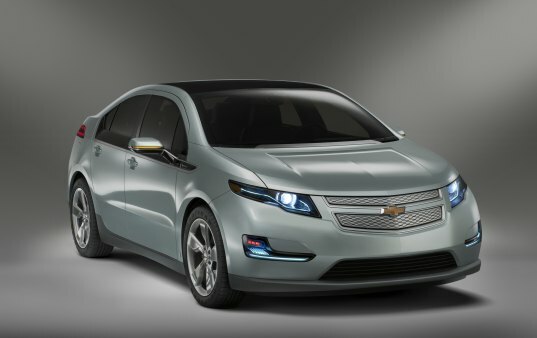 And, let's not forget the extended range of the Volt. Good luck looking for a 220v line on I95. "Hey, buddy! Can you unplug your dryer so I can charge my Leaf?". And what's up with the 3-day roll-out crap? It's not even newsworthy. The car is new. Wait till they actually start the P-line before you slam, which you will, the car. I WANT!!! This looks much better than the LEAF, and the name sounds better too! I love how this thing 'boots up' like a computer...check out the Engadget test drive to see it start up! GM may not be releasing the much-awaited Chevrolet Volt as soon as originally planned, but the production process is moving right along. Today the automaker rolled out its first Volt using production tooling, with positive results. Everything went well -- no issues with workers, tooling methods, or factory layout.